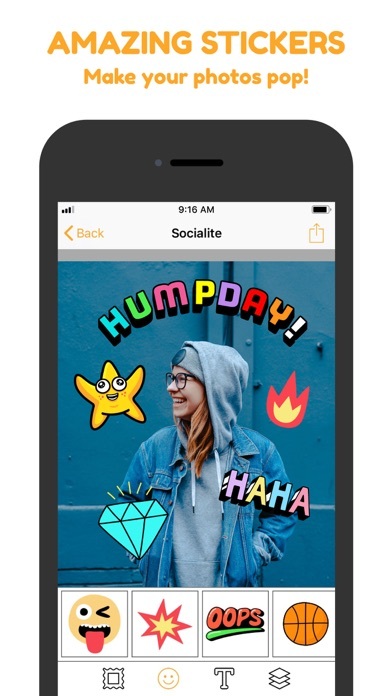 Spice up your social media shares with Socialite! 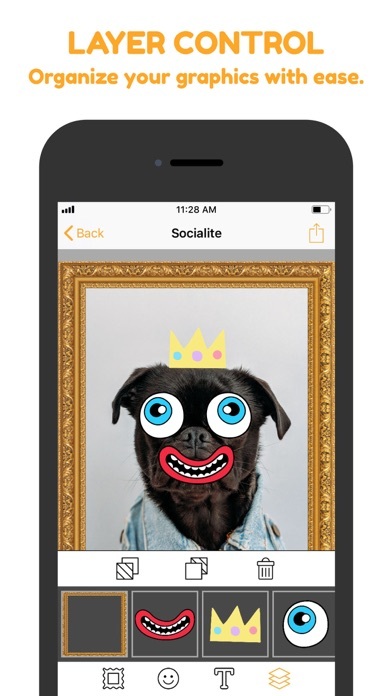 Socialite offers fast photo embellishing fun with an international flair. One-tap optional cropping squares your image for platforms that prefer this. Select from dozens of frame choices to add whimsy, elegance, opulence—choose a look to match your mood. 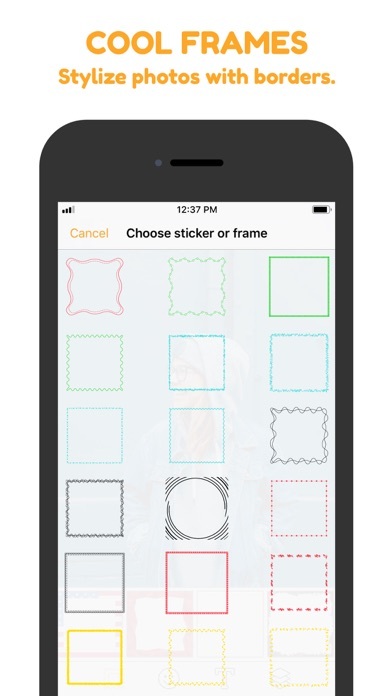 Tap open the sticker drawers to see an abundance of unique choices you won’t find in any other app. The Socialite team designs to delight and is excited to bring you images, places, and sayings from around the world. Want a caption? Typefaces include custom-designed choices unique to Socialite as well as a bevy of fonts perfectly suited to any occasion. Can’t get enough of Socialite’s design vibe? Visit the Store to choose additional frames, stickers, and fonts. Stay tuned as free and for-purchase designs are added for every event on your social calendar! Awesome bonus! 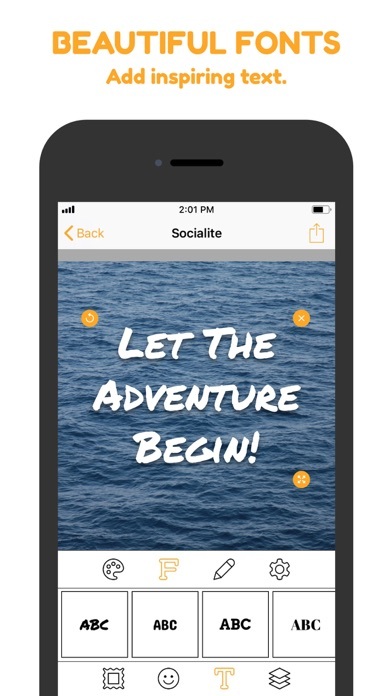 Socialite’s international team is proud to bring you an app that’s fully localized into Polish on day one. 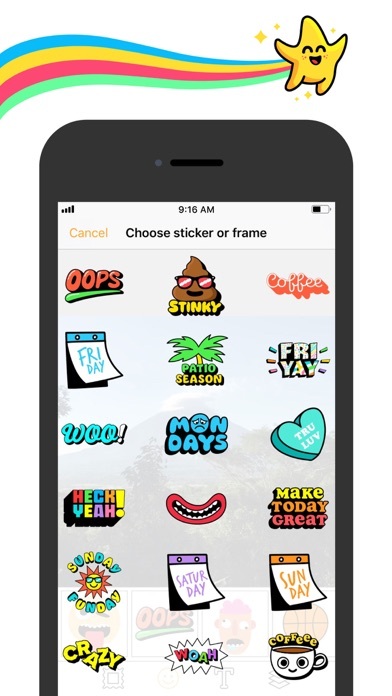 Get social in your native language and choose designs you won’t find anywhere else. Enjoy!